Bwin’s online game is so tight at the moment that some unscrupulous characters are cheekily trying to copy their software coding! Nevertheless, the Austrian giants are powering through and offering you a free football bet offer with their increasingly impressive online platform. The key to Bwin’s success as a bookmaker is that they are a long running and successful gaming company who are heavily backed in the sportsbook side of things. What this means for the punter is that they have the financial clout to offer you some very good odds that you won’t find on other, smaller bookies. If you like to gamble big then Bwin has some very generous limits which have gained attraction from professional gamblers and the site will allow you to win up to £10,000 per day and £100,000 each week. Even if you just fancy a flutter on a weekend, the impressive odds that Bwin have are very tempting and if you want to get started with them, they even have a free bet offer when you sign up. 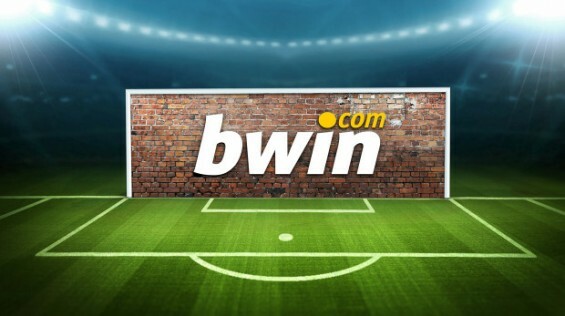 A £20 welcome bet is available when registering a new account with BWin, this is a super simple and easy to use welcome bonus that comes with no additional complications, just free cash for your sign up. In order to get your hands on this free offer from BWin, simply follow the link below, head over to the site, enter your details and sign up. Once you have completed the sign up then you juts have to deposit a minimum of £20 via bank card, bank transfer or Paypal and you will have funds in your account the next day which 100% match your first deposit, up to a limit of £20. After betting on the value of £200 value of bets, with odds of (1.7) or over – you can then claim your free bet. For other options try online betting with Paypal. And that’s the end of the BWin Free Bet Review!